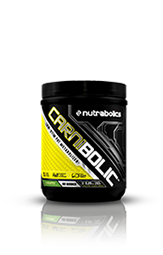 Nutrabolics Anabolic State at Bodybuilding.com: Best Prices for Anabolic State! This review is for the black cherry lime flavor however it didn't give me the option to choose it. I got to try Anabolic State thanks to being chosen in a promo so a big thank you to Nutrabolics and the reps for giving me this opportunity. Flavor: I got to try Black Cherry Flavor and it tastes really good. It's sweet but not too sweet. A hint of tartness as well. I didn't taste anything artificial and it's very refreshing. Love drinking it on a hot day with lots of ice as you can tell from the picture. If you're a fan of cherry then you're going to like this. 8/10 Mixability: It dissolved perfectly and no foaming or anything. No complaints here. 10/10 Effectiveness: After taking Anabolic State i did feel that i recovered faster from my workouts. 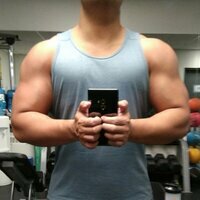 I get less sore and was able to lift the next day at full strength with no issues whatsoever. I like to use this product especially after heavy leg days because those DOMS are always killing me. You can take this after your workout for muscle recovery but also before or during. I personally like to take it before and during the gym so that it can also work as an intra-workout. It gives me extra energy and helps me get through my tough gym routine. It's also very hydrating so perfect for the upcoming summer. 8.5/10 Formula: Anabolic state has 6 grams of BCAA, 500 mg of Alpha Hydroxyisocaproic Acid also known as HICA, 3 grams of glutamine, 3 grams of lysine and a lot more. 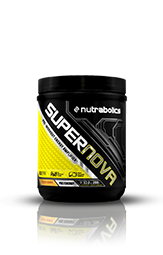 It is also stimulant free, perfect for those who are either sensitive to caffeine or those who already like to take a pre-workout on the same day as well. Overall: I'm really pleased with Anabolic State. It does what it advertises to do, which is help with recovery but it's also a great intra/bcaa supplement so it's very versatile. If you're suffering a lot from muscle soreness then i definitely recommend this product. Well, there's not much more to say other than this product rocks!!!! 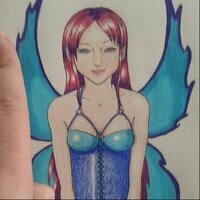 But for the sake of the review, I'll tell you a little more about WHY this product freaking rocks! TASTE 10/10 First of all, the TASTE!!!! 10/10 on the pineapple. It tastes like I'm drinking fresh pineapple juice! I couldn't believe it. I've never had a better tasting BCAA in my life. Makes it really easy to get plenty of liquids in! Mixability 10/10- Mixes right in! Price 10/10 - especially a good deal if you get the larger size! Effectiveness 10/10- THIS PRODUCT SHINES HERE. Most BCAAs I notice help keep my recovery up and soreness down in between workouts. This one has worked very well for that purpose! Why? Well, not only does it have a great BCAA complex with optimal ratios, but it has the ingredient HICA included. What's HICA? It's lpha-hydroxyisocaproic acid, the ingredient in this product that makes it so much more effective and makes it stand out from any other BCAA I've tried. There is minimal research on HICA, but it is essentially an amino acid like Leucine, which we all know is the bees knees! It seems like I'm getting the effects of supplementing high doses of Leucine, but twofold. REALLY HELPS WITH NITROGEN RETENTION. 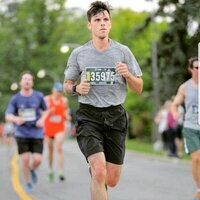 I noticed my muscles keeping a fuller look about 3 days in. I also managed some PR's since stacking this product! Overall 11/10 - Nutrabolics delivers again! 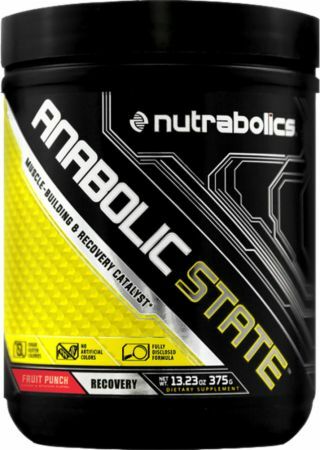 Nutrabolics Anabolic State has a good dose of BCAA's with 6g in the 2:1:1 ratio. I like the addition of HICA to the formula with a nice 3g of Glutamine. Also 500mg of L-Lysine HCL rounds out the formula. I fill my Blender Bottle with water and ice right to the top and that seems right about at the sweet spot for the best flavor with a 12.5g scoop. The powder mixes up very well without any residue left or foam to it. The Pineapple flavor is really excellent. 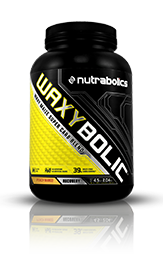 Nutrabolics nailed a perfect Pineapple flavor with just the right amount of sweetness while also being very natural tasting. So in all Anabolic State has a good profile and while I've only tried the Pineapple flavor so far it's excellent. I look forward to trying more of their flavors and highly recommend this product. Actually the best tasting BCAA's I have ever tried. Aboslutley loved the falavour! Just perfetly sweet, so bitter aftertaste or anything. So refreshing and delicious! Mixes perfect! It's my new favourite! 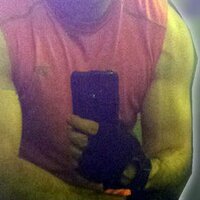 Loving the anti-catabolic effects & retention of endurance; I've been able to go heavy w/out strength diminishing & also delve into extremely high reps. This is credited to HICA which enhances protein synthesis and along w/Glutamine prevents muscle breakdown. Lysine is also highly beneficial as it synthesizes muscle fiber, collagen, enzymes, hormones & antibodies. 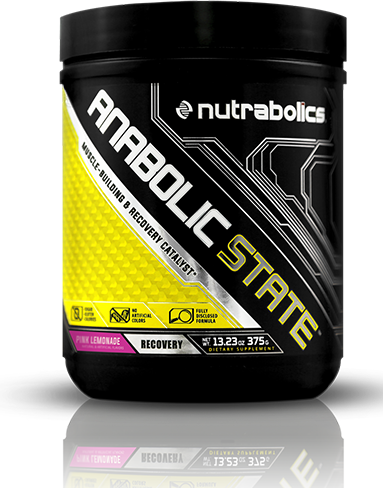 I strongly recommend Anabolic State to everyone for it's multitude of benefits & ability to prevent doms especially while lifting until failure; best of all, it's naturally colored and Peach Mango tastes just like peach ring gummies! A beautiful, 6-ingredient product that has helped me with my recovery and drastically reduced the DOMS I typically experience. I use a serving right after my workouts are over and the recovery process gets underway immediately. This product absolutely helps alleviate the soreness in my body the next day and gets me feeling my best to hit the gym again. Formula-10/10. Packed full. 3g leucine, 3g glutamine, 12.5g scoop Taste-10/10. Peach Mango is spot on. Quite a unique flavor, and they nailed it. Perfect amount of water is a full shaker Mixability-10/10. No issues here at all. Just a quick shake. No grit, no chunk, no nothin Price-7/10. Little bit pricey in my opinion at over $1 per scoop, but I know leucine is expensive and 3g is a solid dose in here Overall-9/10. Only reason I dropped it a bit was because of price. Other than that, great product. 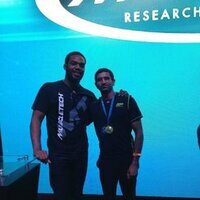 I loved knowing that my body was getting all the nutrients it needed during my intense workouts. Quite honestly, Nutrabolics' Anabolic State and Scivation's Xtend are my favourite BCAAs right now, I basically buy whichever one is on sale at the time. 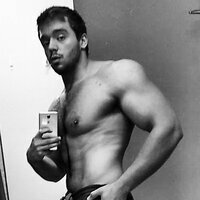 Anabolic State has been great for me. My favourite flavour has to be Pineapple, with Peach Mango at a close second. It lasts me quite a while too, as I can mix one scoop in about 40oz of water and the taste is perfect. I've tried some other BCAAs where I use one scoop and it tastes watered down quite a bit. Not the case with Anabolic State! Received a sample of this with my Supernova, and this company nails it with their flavors. I was kind of put off by the thought, because I've tried raspberry supps that were way too artificial, and a bad ratio of sweet to sour. Still not my favorite flavor, but it was the best execution of it I've tried. This supp has a good amino acid blend, and I'd definitely recommend it to anyone looking for some tasty aminos. As far as flavors go, DO NOT, I repeat, DO NOT get Iced Raspberry. This flavor is absolute GARBAGE. I would give it a negative 10 if I could. It tastes and smells stale, and has a horrid bitter chemical after taste to it. TRASH. Take my word for it and save your money. The Peach Mango is bearable, but the chemical after taste persists.. BUT AGAIN STAY AWAY FROM ICED RASPBERRY. Absolute TRASH. That's money down the drain for me since I'm throwing it away (makes sense for where it's going because it's TRASH). Save your money and don't get the Iced Raspberry. In terms of the product overall, it has a decent profile on the nutrition label. I like that it has HICA. However I didn't feel much of a difference to pay a premium for this product versus a cheaper BCAA supplement. 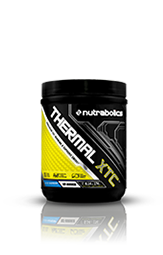 I got to try a tub of Candy Blast, courtesy of Nutrabolics, which should be out soon. You wouldn't want to miss it. This is a perfect BCAA for my intraworkout regimen. My only wish is that the flavor - though perfect in 10oz water, lightens up a bit in my 16oz water plus ice. I just throw a little drink mix powder (lo-cal no nutrient value) to strengthen it, but the candy flavor still shines through. Tastes like Sweet Tarts or Pixie Stix. Mixing was a complete breeze - zero floaters and no residual atertaste. Here's why you should get some: 3g leucine - the clinical threshold for inducing MPS; 3g glutamine; synergistic use of HICA & Lysine tp prop up the BCAAs and glutamine and clear labelling. Definitely good stuff. Best tasting bcaa product I have ever used. 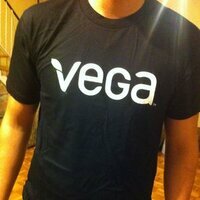 Will certainly buy again!! I train at 5am or 3pm. Either way I've gone a long time since my last meal. This stuff fuels me and keeps me feeling full and strong from start to finish. The difference from when I drank water to drinking this is night and day. I considered trying other brands after finishing my big tub but I figured why risk it when I've got a great thing going. Not verified because I bought it at Popeyes Kanata!! Natural and Artificial Flavors, Citric Acid, Malic Acid, Acesulfame Potassium, Sucralose, Red Beet Powder. Directions For Anabolic State: Add 1 scoop (12.5 g) of ANABOLIC STATE™ to 8 oz - 10 oz / 250 ml - 300 ml of cold water and shake for a few seconds. Consume 1-3 servings daily to hydrate and help promote muscle building and reduce muscle soreness during or after an intense exercise session. For best results, combine with a diet and exercise program. Warnings: For adult use only. Keep out of reach of children. Consult your physician before using the product if you have any medical condition. Do not use if you are pregnant or nursing. 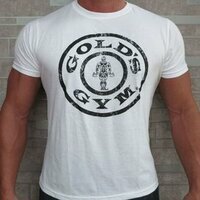 Check out other During Workout Products.